I've found that by far the biggest challenge of writing Stargate fan fiction is spelling. Even the encyclopedia sites vary in the spelling of essential terms. Naqahdah alone has given me hours of trouble. I decided to make my own dictionary, so at least I'd be consistent across my own fic. The purpose of this dictionary is to standardize spelling, not to replicate a compendium. Therefore, more attention is given to the source of the chosen spelling than to the definition of the term. Definitions are relatively spoiler-free. If you feel a definition is a spoiler or exceptionally offensive, email me and I'll change it. Submissions are welcome at the email address at the bottom of the page. Please include a reliable source. The citation (in italics) is for the primary spelling (in bold) or for the spelling indicated in parenthesis, but not the rest of the entry. Some reference works are listed and linked at the bottom of the page. Episode numbers are taken mainly from TVTome.com - see the episode list for details. Terms in the Latin, Cyrillic or Stargate alphabet are eligible for inclusion in the Repository; the main standard for inclusion is whether an ickle newbie writing her first fanfic would wonder how to spell the word. Terms that are frequently or intentionally misspelled are also included. Character names from the credits are included, regardless of ease of spelling. 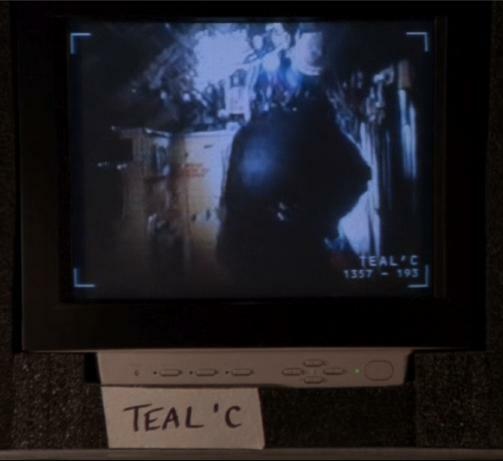 For the purposes of the Repository, a canon spelling is one that has appeared on-screen in a broadcast episode or its credits (but not in the closed-captioning). When other sources clash with canon, canon wins (eg., naqahdah). If there is no canon substantiation for a spelling, standard English usage, official materials (such as the scifi.com website and tvtome.com episode credits), published reference works, and fan usage (especially at rdanderson.com) will be considered, in that order. The final arbiter in all cases is yours truly (Jemima Pereira). For reference, incorrect and otherwise deprecated versions of terms are listed (in strike-out) in the entry for the correct spelling. Most notably, movie spellings (eg., O'Neil) and Teal'cized spellings (eg., MajorCarter) are deprecated. If you know of a misspelling that has been omitted, please email me. It is, of course, your choice whether to use a deprecated spelling. Anat Semitic god. 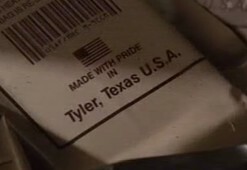 This spelling appeared on a web page about Seth in his episode. Screenshot: 7:00. 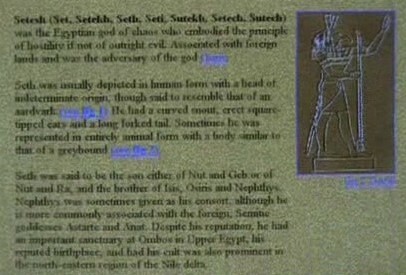 302 "Seth"
Astarte Semitic god. This spelling appeared on a web page about Seth in his episode. Screenshot: 7:00. 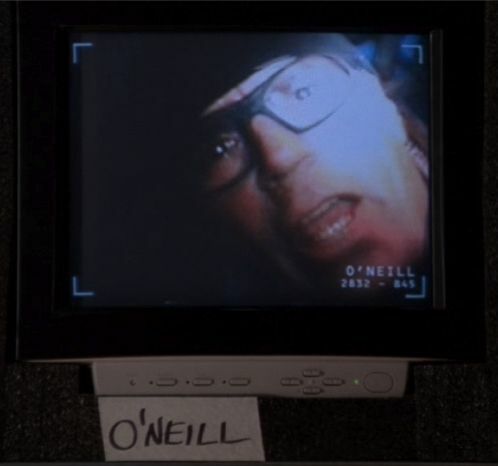 302 "Seth"
comtrya Harlan's annoying greeting as sent using a GDO in "Double Jeopardy." This spelling may be an abbreviation - rdanderson.com has "com-traya." 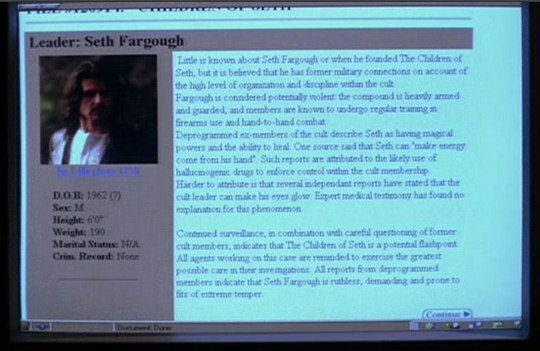 Screenshot: 11:21 421 "Double Jeopardy"
Seth Fargough Leader of the Children of Seth cult. 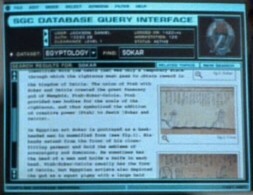 The spelling appears on-screen on the ATF Cultwatch site, file #120914: "Children of Seth." Screenshots: 9:19, 8:55. 302 "Seth"
Geb Egyptian god. 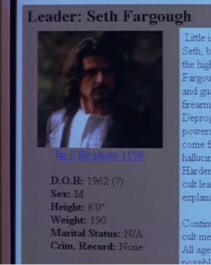 This spelling appeared on a web page about Seth in his episode. Screenshot: 7:00. 302 "Seth"
Isis Egyptian goddess. 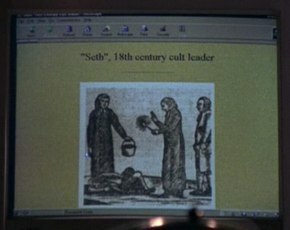 This spelling appeared on a web page about Seth in his episode. Screenshot: 7:00. 302 "Seth"
General Kerrigan Administrator at the Air Force Academy. Appears on his nametag, on his desk, and in the credits. 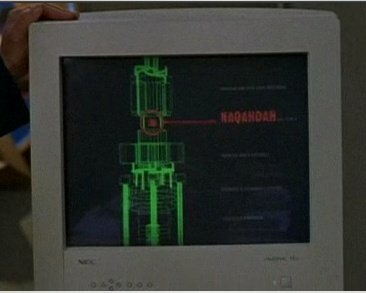 419 "Prodigy"
naqahdah The Stargate element. 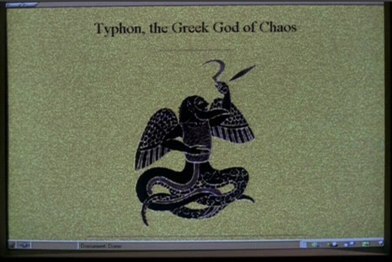 This spelling appeared on a computer screen during Samuels' briefing in "The Serpent's Lair." Screenshots: 9:58, 9:56. 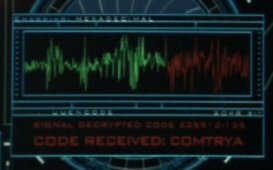 Variants are innumerable and are all deprecated, including naquadah and the alternate spelling naquada listed at scifi.com tech. 201 "The Serpent's Lair"
Nephthys Egyptian goddess. This spelling appeared on a web page about Seth in his episode. Screenshot: 7:00. 302 "Seth"
Nut Egyptian goddess. This spelling appeared on a web page about Seth in his episode. Screenshot: 7:00. 302 "Seth"
Obmos Reputed birthplace of Seth in Upper Egypt. This spelling appeared on a web page about Seth in his episode. Screenshot: 7:00. 302 "Seth"
Osiris Egyptian god. This spelling appeared on a web page about Seth in his episode. Screenshot: 7:00. 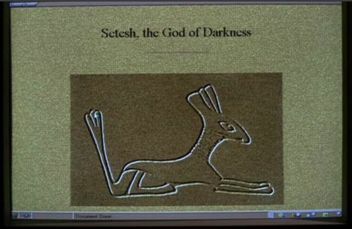 302 "Seth"
Setesh (Set, Setekh, Seth, Seti, Sutekh, Setech, Sutech) The Egyptian god of Darkness. 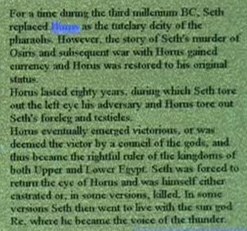 These spellings all appeared on a web page about Seth in his episode. Screenshots: 7:09, 7:00. 302 "Seth"
Sergeant Siler Yet another friend of Sam's. 117 "Solitudes" credits (Sgt. Siler), 207 "Message in a Bottle" credits (Sergeant Siler), etc. 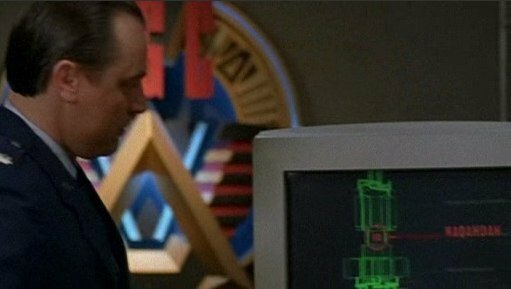 SGC Stargate Command. Beware the typo SCG. Lieutenant Tyler The lieutenant from Texas. Screenshot: 12:12 (Tyler, Texas). 504 "The Fifth Man"
Typhon The Greek god of chaos. Screenshot: 8:16. 302 "Seth"
English Indicates standard usage in the English language.